Full Gear adjustments inc indexing & performance oil installed. 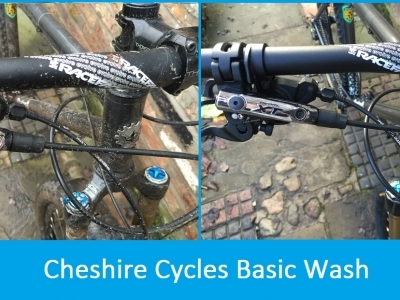 Full Brake adjustments inc check & alignment of pads, re set up for optimum performance. Full Check of all bolts inc torque to Axles, Cranks and Handlebar/Stem. Bottom bracket adjusted to reduce/remove play. Headset adjusted to reduce/remove play. 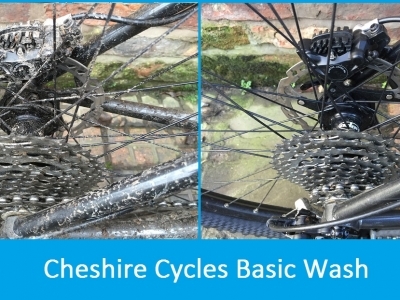 Axle service, Headset Service, Bottom Bracket service, Brake bleed, Bike cleaning. 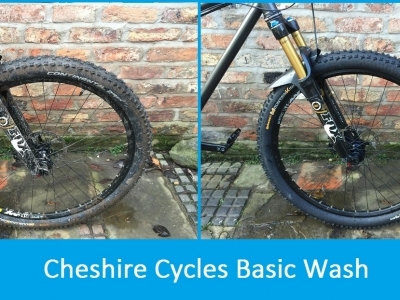 Removal of wheel’s from bike, wipe down of wheels and wipe to frame/fork. Hub axle’s stripped down, fully cleaned and rebuilt with new grease. 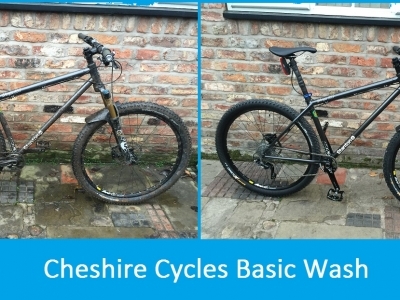 Bottom bracket removed, cleaned and serviced. Headset bearings removed, cleaned and serviced. Torque tighten of all major bolts. Excludes parts, includes labour to fit any new item. 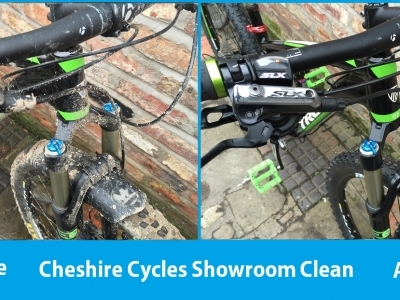 Brake bleeds, Fork/Shock Servicing, Bike cleaning. The Bike fitting service is spent with the initial stages inside our workshop on our turbo trainer setting saddle, handlebar and cleat position. The fit concludes with a short ride our on the local road. 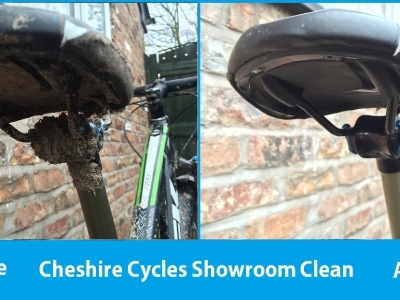 Recommended as a first bike fit and most benefit new road cyclist’s. Fitting of new dropper seatpost including routing of cable/hose. Seatpost bled through with new oil (included) and air pressure set. Wheels & pads removed, brake pistons oiled, full bleed including oil & pressure test. Brake re setup with clean down. Oil is included in the price. Removal of Stuck fast bottom bracket. Where possible, the old unit will be saved. Full Gear service including, indexing, stop screw adjustment & re oil using performance oil. Cleaning services become half price. Fitment of the Drivetrain groupset including Bottom Bracket, Chainset, Cassette, Chain, Shifters , Bartape and Derailleurs. Update your Di2 including Switching the Di2 gear levers, Multi Shift through the gears, Change the speed at which Di2 can change gear, troubleshooting. Ream out and installation of new pedal threads. Wheel axle removed, all parts cleaned down and assessed for wear. re built with performance grease and tension adjusted in bearings. Rim surface cleaned and degreased. New tyre seated on rim with new glue. 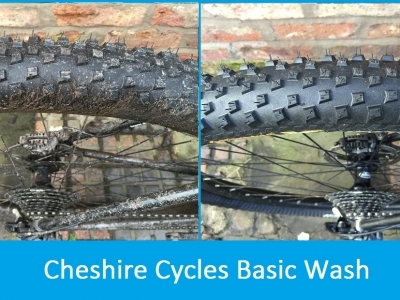 Full strip down of Chris king hub, clean, re grease and re build. New Handlebar tape fitted including removal of old tape. Fork and bearings removed from bike. Cups and bearings cleaned and re greased before installing. Bearing tension set. Ream out and installation of new threads. Various sizes including M5, M6 and M8. Removal and re installation of Bottle cage threads, frame space may limit work to be carried out. Full assembly of a bike from box to complete cycle. 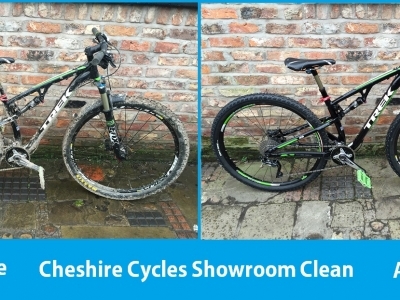 Included is a safety check and Bike fitting with the client to gain a optimum position. 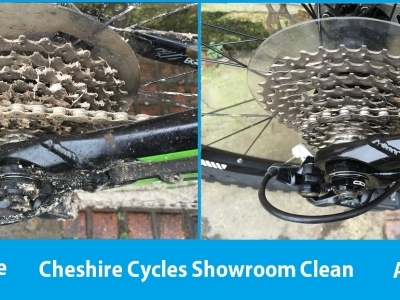 Removal of Brakes from bike, full clean with our own In-house Ultra Sonic cleaning bath, re oil and fitting. 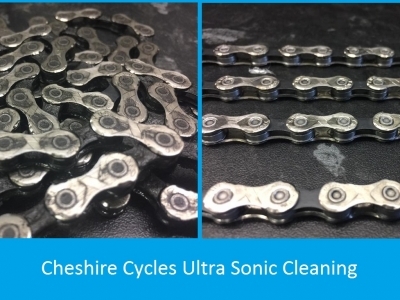 Removal of Chain, Cassette and Mechs from bike, full clean with our own In-house Ultra Sonic cleaning bath, re oil and fitting. 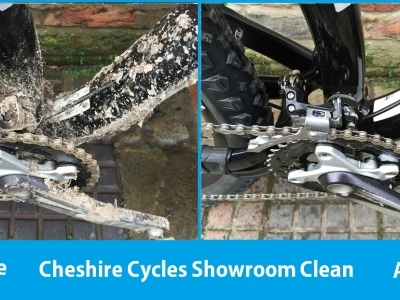 A Split link may be needed (supplied at £5) Wipe down of bike included. A light clean to keep the dirt at bay. 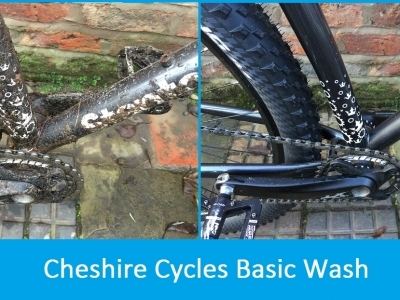 Included is a de-grease to the chain and drivetrain components, soap wash the bike and rinse down. 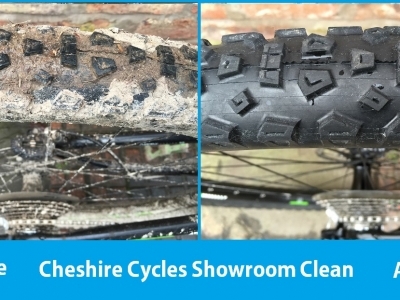 Stubborn dirt will require our Showroom Clean. Our most involved clean. 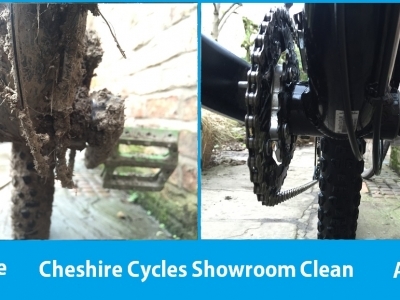 We aim to take any bike and fully clean to showroom standard removing any evidence of dirt from the bike. Included is a polish to the frame/fork. This is charged at £5 upto 2 miles, £10 between 2 and 5 miles and £2 per mile for 5 miles plus (Example – 12 miles is £24) from WA44RP for either Collection or Delivery.